Calling All Polyglots: Percona Live 2018 Keynote Schedule Now Available! We’ve posted the Percona Live 2018 keynote addresses for the seventh annual Percona Live Open Source Database Conference 2018, taking place April 23-25, 2018 at the Santa Clara Convention Center in Santa Clara, CA. This year’s keynotes explore topics ranging from how cloud and open source database adoption accelerates business growth, to leading-edge emerging technologies, to the importance of MySQL 8.0, to the growing popularity of PostgreSQL. We’re excited by the great lineup of speakers, including our friends at Alibaba Cloud, Grafana, Microsoft, Oracle, Upwork and VividCortex, the innovative leaders on the Cool Technologies panel, and Brendan Gregg from Netflix, who will discuss how to get the most out of your database on a Linux OS, using his experiences at Netflix to highlight examples. With the theme of “Championing Open Source Databases,” the conference will feature multiple tracks, including MySQL, MongoDB, Cloud, PostgreSQL, Containers and Automation, Monitoring and Ops, and Database Security. Once again, Percona will be offering a low-cost database 101 track for beginning users who want to learn how to use and operate open source databases. Open Source for the Modern Business – Peter Zaitsev of Percona will discuss how open source database adoption continues to grow in enterprise organizations, the expectations and definitions of what constitutes success continue to change. A single technology for everything is no longer an option; welcome to the polyglot world. The talk will include several compelling open source projects and trends of interest to the open source database community and will be followed by a round of lightning talks taking a closer look at some of those projects. Cool Technologies Showcase – Four industry leaders will introduce key emerging industry developments. Andy Pavlo of Carnegie Mellon University will discuss the requirements for enabling autonomous database optimizations. Nikolay Samokhvalov of PostgreSQL.org will discuss new PostgreSQL tools. Sugu Sougoumarane of PlanetScale Data will explore how Vitess became a high-performance, scalable and available MySQL clustering cloud solution in line with today’s NewSQL storage systems. Shuhao Wu of Shopify explains how to use Ghostferry as a data migration tool for incompatible cloud platforms. State of the Dolphin 8.0 – Tomas Ulin of Oracle will discuss the focus, strategy, investments and innovations that are evolving MySQL to power next-generation web, mobile, cloud and embedded applications – and why MySQL 8.0 is the most significant MySQL release in its history. Linux Performance 2018 – Brendan Gregg of Netflix will summarize recent performance features to help users get the most out of their Linux systems, whether they are databases or application servers. Topics include the KPTI patches for Meltdown, eBPF for performance observability, Kyber for disk I/O scheduling, BBR for TCP congestion control, and more. Panel Discussion: Database Evolution in the Cloud – An expert panel of industry leaders, including Lixun Peng of Alibaba, Sunil Kamath of Microsoft, and Baron Schwartz of VividCortex, will discuss the rapid changes occurring with databases deployed in the cloud and what that means for the future of databases, management and monitoring and the role of the DBA and developer. Future Perfect: The New Shape of the Data Tier – Baron Schwartz of VividCortex will discuss the impact of macro trends such as cloud computing, microservices, containerization, and serverless applications. He will explore where these trends are headed, touching on topics such as whether we are about to see basic administrative tasks become more automated, the role of open source and free software, and whether databases as we know them today are headed for extinction. MongoDB at Upwork – Scott Simpson of Upwork, the largest freelancing website for connecting clients and freelancers, will discuss how MongoDB is used at Upwork, how the company chose the database, and how Percona helps make the company successful. We will also present the Percona Live 2018 Community Awards and Lightning Talks on Monday, April 23, 2018, during the Opening Night Reception. Don’t miss the first day of tutorials and Opening Night Reception! Register for the conference on the Percona Live Open Source Database Conference 2018 website. 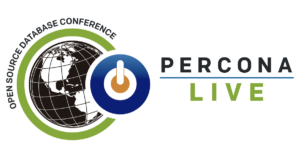 Limited Sponsorship opportunities for Percona Live 2018 Open Source Database Conference are still available, and offer the opportunity to interact with the DBAs, sysadmins, developers, CTOs, CEOs, business managers, technology evangelists, solution vendors, and entrepreneurs who typically attend the event. Contact live@percona.com for sponsorship details. The post Calling All Polyglots: Percona Live 2018 Keynote Schedule Now Available! appeared first on Percona Database Performance Blog.